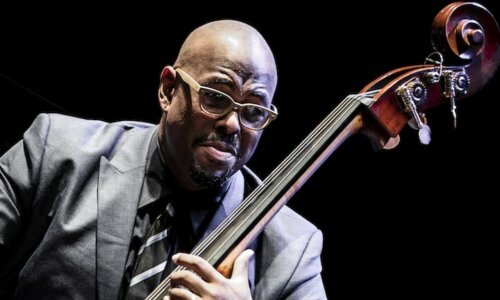 Five-time Grammy winning jazz bassist Christian McBride can be likened to a force of nature, fusing the fire and fury of a virtuoso with the depth and grounding of a seasoned journeyman. With a career now blazing into its third decade, the Philadelphia native has become one of the most requested, most recorded, and most respected figures in the music world today. His latest grouping, A Christian McBride Situation came from the Monterey Jazz Festival in 2007, when members of the McBride’s scheduled group had to cancel. “Uh-oh,” said his manager. “Looks like we have a Christian McBride situation.” No problem. The bassist grabbed some of his friends who also happened to be at the festival – keyboardist Patrice Rushen, turntablist DJ Logic – and created a new group. Opening the show on the night will be fast rising London trumpeter Ife Ogunjobi.